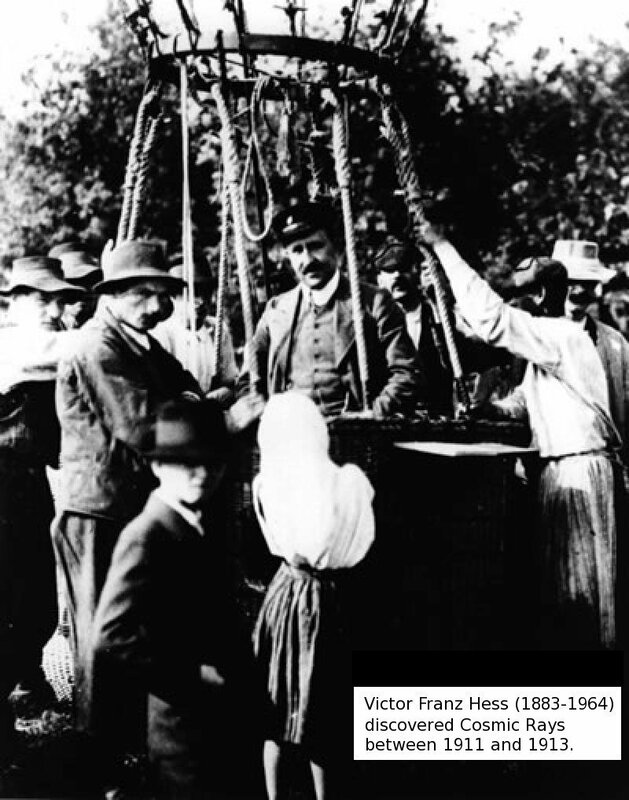 Hess discovered that the intensity of the ionizing background radiation increased a he ascended in his balloon. His conclusion was that the radiation came from outer space. The origin of the cosmic radiation is even today not quite clear. and for recent observations http://www.auger.org/ .